This level is again hard and have similar board to previous level but you need to break all jellies. 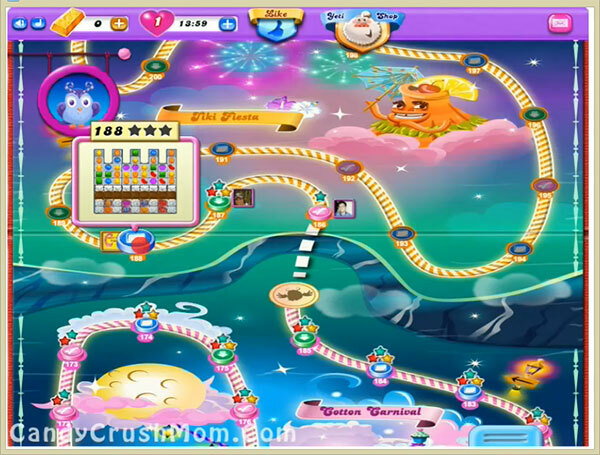 For this level you should also try to play from bottom of the board to break blockers and chocolates. Try to make special candies and as you get then make best special combo to break jellies with balancing the Odus owl. You could use hammer tool if few moves left and you need to break jellies. We completed this level with 338540 score with playing from bottom of the board and got few special candies that help to reach this jellies requirement with three star score.